Wellington-headquartered financial services business Implemented Investment Solutions (IIS) has reshuffled its board following the retirement of foundation chair, David Stevens. Ian Russon, an IIS director since May 2016, has stepped up to the chair role while The Cooperative Bank head of legal, Jeremy Valentine, joins as a new director. Russon is also the licensed independent trustee of the UniSaver and Police superannuation schemes. Last August IIS also appointed Wellington based IT specialist, Lee Mauger, to its board after the departure of another long-time director, Alister van der Maas, head of Russell Investments NZ. Both Stevens and van der Maas joined the IIS board in 2011 soon after the company launched. IIS operates as a third-party fund host for a range of local and offshore managers including Russell, Legg Mason and Hunter. The business also runs direct-to-investor fund platform, InvestNow, which has attracted over $250 million under management since launch in 2017. IIS founder, Anthony Edmonds, said the new board included the “right mix of skills” for the firm’s next phase of development. Edmonds said Stevens, who also chairs the Ports Retirement Plan (which recently changed its name from the NZ Harbours Superannuation Fund) had steered IIS into a great position for future expansion. Another funds management business, the Auckland-based passive shop, Simplicity, also saw a board change on the last day of 2018 with the resignation of independent director, Kirsty Campbell. 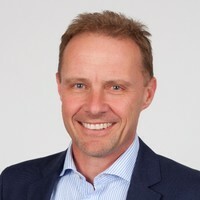 Campbell, head of supervision at the Financial Markets Authority (FMA) until 2015, joined the board of NZ active investment house, Salt Funds Management, late in December last year. She fills the independent director spot on the Salt board, which previously included only the business founders, Matthew Goodson and Paul Harrison. She has been chair of the Salt compliance committee since January 2016. After leaving the FMA Campbell set up Catalyst Advisory Partners as well as securing several directorships including with the New Plymouth Perpetual Investment Fund and the Hawke’s Bay-based SP Investment Group.